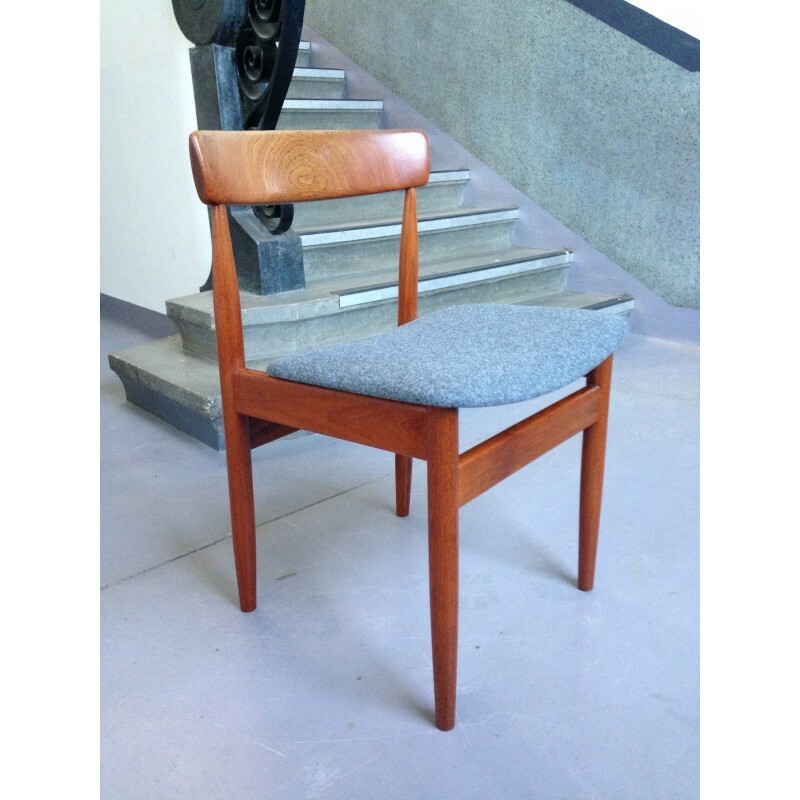 A fantastic set of six dining chairs designed by Hans Olsen for Frem Rojle, circa 1960's. 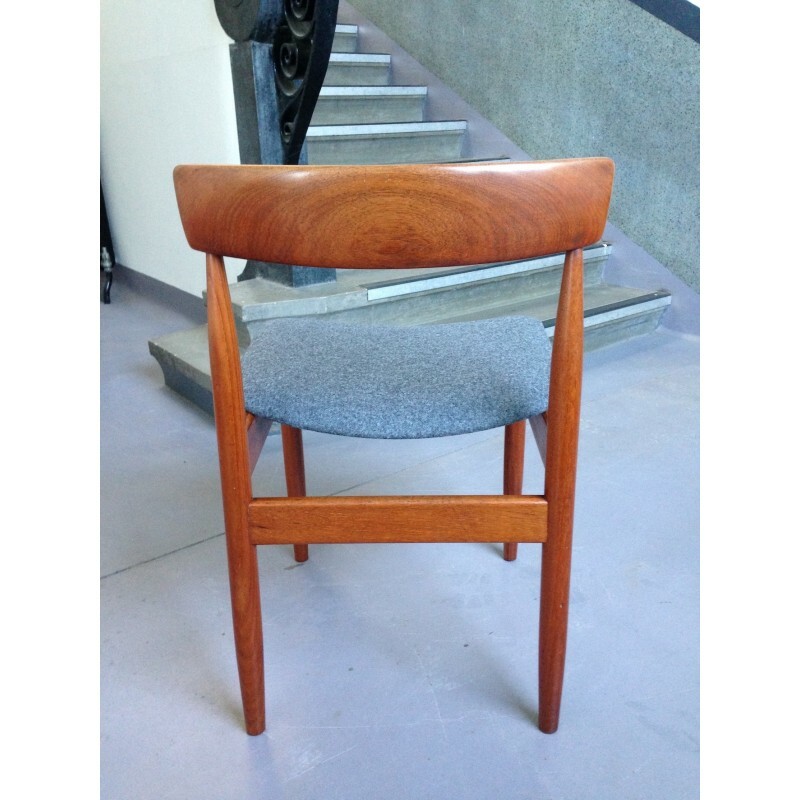 The chair frames are made from solid teak and are in outstanding condition, boasting some quite spectacular grains. 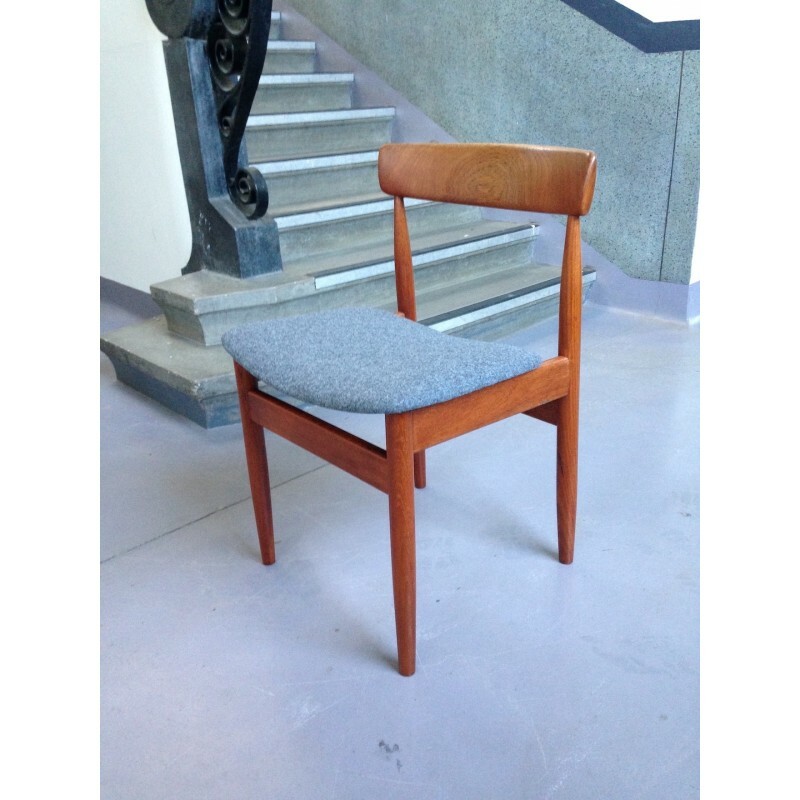 All six chairs are stamped 'MADE IN DENMARK' and have the Furnituremaker's Control stamp. 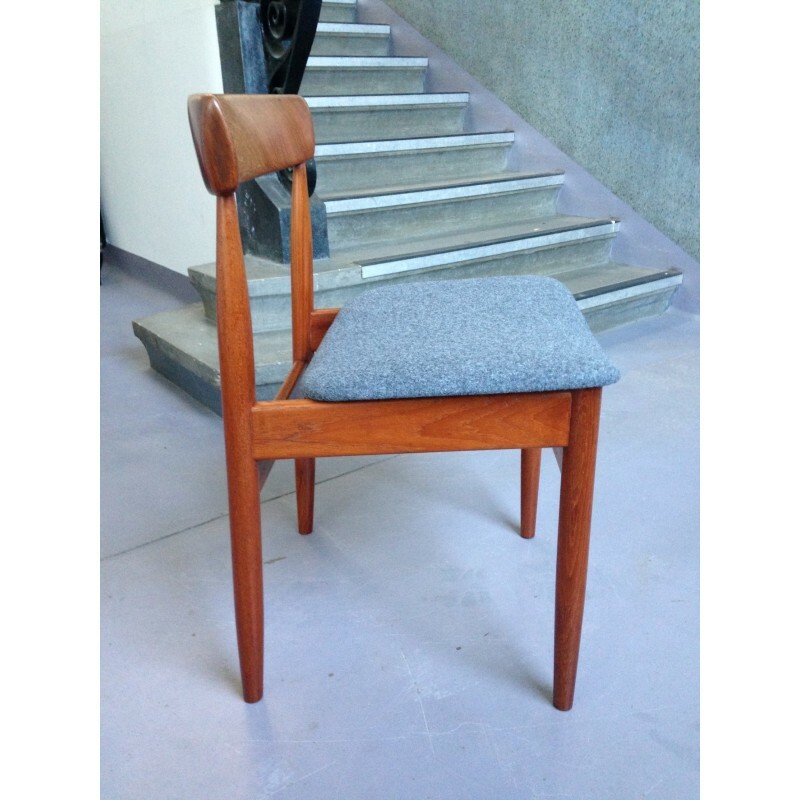 The seats have also been fully stripped and reupholstered in a felted grey wool from Abraham Moon. As with all our upholstered items, the chairs now comply with the UK Furniture and Furnishings Fire Safety Regulations. 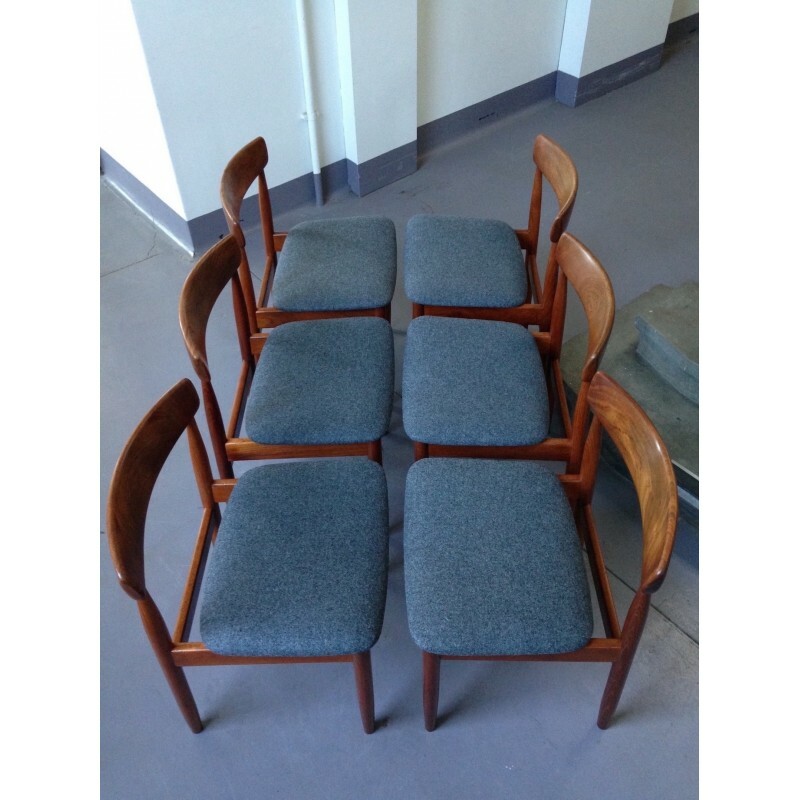 Please see the final image and our other listings for a Johannes Andersen teak dining table bought with the chairs, which is available separately.